The hotel possesses a spectacular view of the Andaman Sea as well as the finest bespoke services and facilities found throughout the resort's 35 Pool Villas, 48 Suites and 22 Pavilions. Two signature restaurants, Children's Club, outdoor infinity pool, onsite tennis court, wellness facilities including complimentary daily yoga, kinetics and Pilates classes. 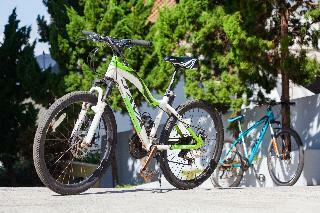 Stand-up paddleboard, kayaking, and cycling to Phuket old town and local markets can also be arranged. The resort is 40 minutes from the International airport, 10 minutes away from Phuket Town and 30 minutes from Patong Beach. The beach resort sits on a private beach in Phuket, within easy reach of KhaoKhadViewsTower, PhuketAquarium, andCapePanwa. Complimentary cabanas, umbrellas, and sun loungers are available to guests. 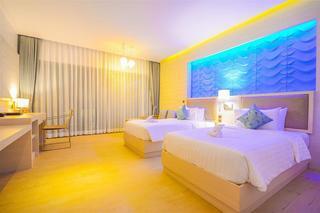 At Phuket Panwa Beach Resort guests can make use of the 2 outdoor swimming pools and the full-service spa. In addition the resort features a beachside as well as 3 bars/lounges and a beach bar. Dining options at the resort include 3 restaurants and a coffee shop/café. 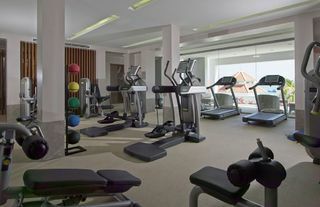 Additional amenities include a children's club, a children's pool, and a 24-hour fitness center.Rooms open to furnished balconies or patios. 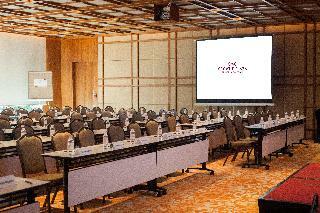 All rooms are fully-equipped as standard. Beds have pillowtop mattresses, signature bedding, Egyptian cotton sheets, and down blankets. Bathrooms offer separate bathtubs and showers with deep soaking bathtubs and rainfall showerheads. 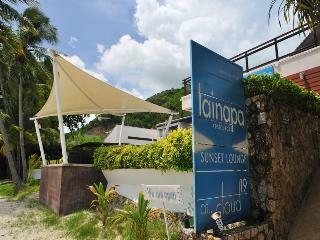 Cloud 19 is a boutique Cape Panwa Beach resort situated at beautiful Ao Yon, boasting powder soft white sands and stunning views over Chalong Bay. The secluded location of this spa hotel in Panwa Beach is only 10 minutes from Phuket town yet offers a romantic retreat ideal for weddings and honeymoons. 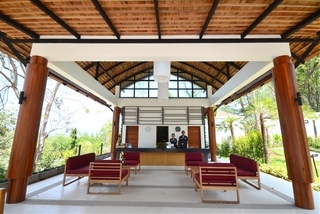 The Phuket honeymoon hotel is the former residence of the Chumbala family, a contemporary beach manor house with a homely ambiance offering genuine warm and impeccable service. All 19 rooms and suites at the Panwa beachfront resort enjoy spectacular sea views and some offer special features including a Jacuzzi, spacious lounge and furnished balconies.Lainapa is the fine dining restaurant at this stylish Panwa Beach hotel serving mouth watering Thai, international dishes and delicious fresh seafood in a breezy poolside setting overlooking the sea. Relax at the cosy lobby lounge, listen to the sounds of jazz piano at the beachfront sala, take a dip in the two swimming pools and surrender to a soothing spa treatment at our Cape Panwa Beach hotel. Sri panwa, a luxury hotel private pool villa & spa resort in Phuket Thailand. Perched high atop Cape Panwa and commanding breathtaking views of the Southeastern tip of Phuket , occupying the Cape Panwa peninsula in its entirety, the ultimate in luxury vacation accommodation on Phuket Island.The beach resort Sri Panwa Phuket is lovingly set above the azure waters of the Andaman Sea on Cape Panwa. The resort offers panoramic vistas to be relished and an exclusive private beach so guests can enjoy the ultimate in relaxation in intimate surroundings.An oasis of calm and luxury in one of the finest locations on Phuket this stunning resort spreads over more than 120,000 metres squared of lush, tropical surroundings affording the resort an oasis feel far from the bustle of daily life. The villas feature elegant decor and high-quality advanced conveniences with a choice of accommodation options to suit from couples to families. Providing exemplary leisure, recreational and dining options along with impeccable service and traditional Thai hospitality, guests will never want to leave. 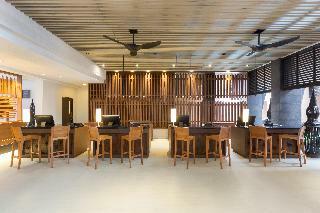 The Mangrove Panwa Phuket Resort is located in the hidden village of the breathtaking Chalong Bay. Hugged by the lush green foliage and overlooking the bay, this is the place that gives “relaxation” its meaning.The resort's low-rise bedrooms complement the well-preserved mangrove sanctuary and the neighbouring homes of local villagers, offering a private island getaway experience with the modern day comfort of full-ranged amenities within reach.Explorer, families or solo travelers are perfect candidates to be pampered by the abundance of greenery and modern indulges of The Mangrove Panwa Phuket Resort, merely 15 minutes drive away from the main city and 45 minutes drive from Phuket International Airport. The spa and spa staff were excellent. Well trained and perfect customer service, as well as just being lovely people.